WASHINGTON, D.C., Nov. 6, 2015 – The U.S. Government’s Millennium Challenge Corporation (MCC) today released its fiscal year 2016 scorecards for all 81 low and lower-middle income countries as defined by the World Bank. MCC’s scorecards are a critical component in the agency’s competitive selection process that determines which countries receive MCC development funds. Each December, MCC’s Board of Directors selects partner countries to receive grant assistance based on their scorecard performance, relevant supplemental information, the overall opportunity to reduce poverty and generate economic growth, and available funding. Over the coming weeks, MCC’s Board will closely examine this information in advance of its December selection meeting. One of MCC’s core principles is selectivity. 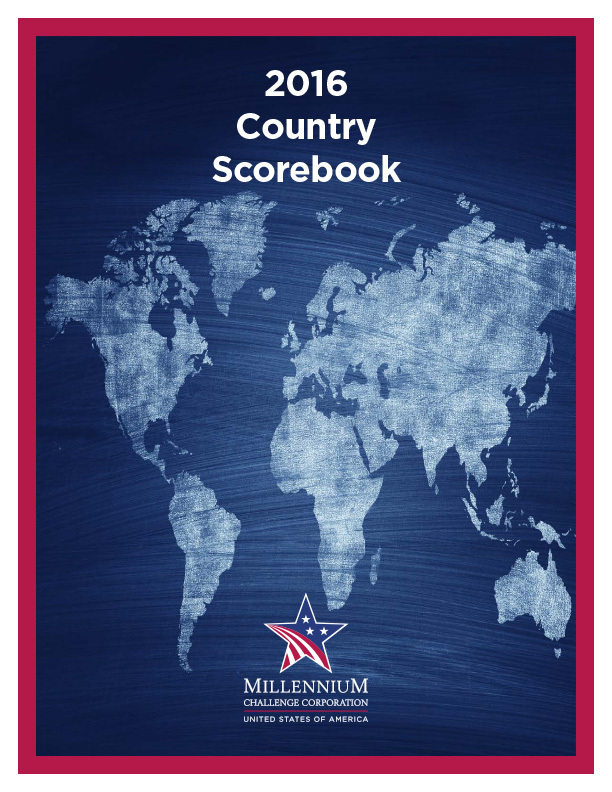 To be considered for MCC funding, countries must first pass the MCC scorecard – a collection of 20 independent, third-party indicators that measure a country’s policy performance in the areas of economic freedom, investing in its people, and ruling justly. MCC’s competitive selection process is a data-driven, transparent method for determining which countries the agency funds. The process represents one of the many ways MCC is distinctive in how it works to combat poverty through economic growth around the world. Read more about how MCC selects who it funds and view the 2016 scorecards.